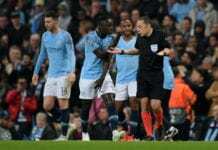 The 26-year-old was forced to withdraw in the 62nd-minute of PSG’s 2-0 Coupe de France win over Strasbourg on Wednesday for Moussa Diaby after suffering a metatarsal injury. And to make matters worse for Neymar, the injury occurred in the very same ankle that forced him to miss the rest of the previous season last February. This came about after Strasbourg midfielder Moataz Zemzemi fouled Neymar three times in the space of just a few seconds. Speaking at the end of the cup game, PSG manager Thomas Tuchel admitted his concern for the club’s record signing after he was sent to the hospital for tests. “No, I did not talk to Neymar [after the game] because he’s in the hospital,” said Tuchel. “Yes, I’m worried. It’s always complicated [with these kinds of injuries]. Now PSG have confirmed the bad news but did not state as to whether the Brazilian superstar has sustained another fracture. “Initial examinations have revealed a painful recurrence of his injury to the fifth metatarsal of his right foot,” read a statement on the club website. This could prove to be a major blow for PSG, who will face some tricky Ligue 1 fixtures against the likes of Rennes, Lyon and Bordeaux before taking on Manchester United on February 12 in a Champions League last-16 clash. 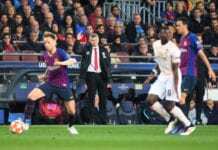 The first leg will take place at Old Trafford on February 12 with the return leg at the Parc Des Princes set for March 6. Edinson Cavani and Angel di Maria were the goalscorers for PSG on Wednesday night to seal a 2-0 win for the cup holders.